While the story was uninspired and predictable it was the terrible narration that made it painful from the very start. It felt like he was trying to read the story to an infant. He kept pitching his voice very high and then lowering it is such a strange way that it just threw you out of the story. I will be avoiding any other books from this author and especially this narrator and I strongly urge you to do the same. Save yourself time and money and find another story and narrator. There is no war in the northlands, just annihilation. Either the dragons will destroy this world or Queen Beulah will raze it to the ground. Below the city is a secret the House of Balwen have kept for millennia, a treasure beyond imagination. None but a direct descendant of Balwen himself can open the escape routes from this cavern. 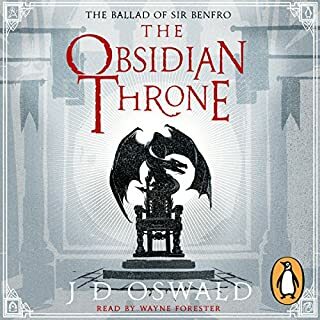 To do so, Princess Iolwen will need to claim the Obsidian Throne. This final book to a series with a decent start is a disservice to the people who saw it through to the end. It felt more like Oswald was just lost interest and tossed everything in a last book so he could finish and let the series die. Unfortunately he didn’t pull the plug so much as murder it, cut up the body, and buried in a shallow grave. It was just a very dissatisfying conclusion to an ok series. I won’t be looking for any more books by this author. Would you ever listen to anything by Neal Stephenson again? I don't think I would enjoy another story by Neal Stephenson. It is clear that he is a very smart man with a variety of interests, but there was way too much technical speak and explanation. I enjoy learning about the science behind the working of the world. But when I want to hear a story, I just want to hear a story not a lecture on orbital mechanics. 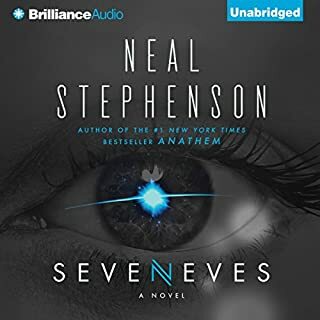 If you could play editor, what scene or scenes would you have cut from Seveneves? There was not a single scene in particular, it was just too damn heavy on the technical jargon. From me it pulled me out of the story more often than enhancing it.